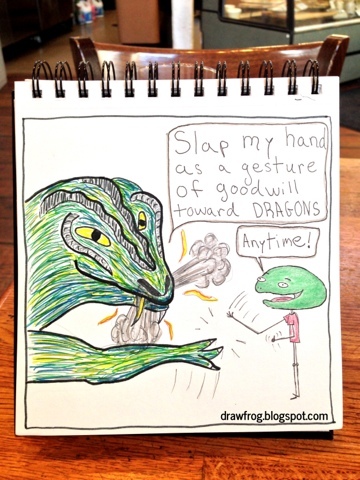 March 03, 2013 by Tyler Twombly in "Dragon Comic", "ancient", "cigars", "cold-blooded", "comical", "fire", "reptile", "scaly"
I am a lover of fantastic things. I never played Magic the Gathering and I never played Dungeons and Dragons....well, I actually did play D&D but I was being forced to by my nerdy friends. The point is, I loved a dragon once. "Dragon Comic", "ancient", "cigars", "cold-blooded", "comical", "fire", "reptile", "scaly"